There’s many ways to make money online with mobile apps, but they all come down to either making money by selling the app itself or by making money after the sale is made. You can make a lot of money by simple putting advertisements inside your apps. That’s what Google does for its mobile search apps, and that’s how a lot of non-mobile websites make their money. In-app ads work best if your app has a highly targetable audience, since advertisers will pay more money per click, view, or whatever other method you use. This is because people who are targeted who click on an add are more likely to convert to a lead or a sale, meaning that the company gets its money’s worth for the click that they pay you for. While you could negotiate with individual companies to place ads within your app or do a product placement, it’s a lot easier and you will probably make more money if you use an online advertising company like Moolah Media. The main drawback is that it’s hard to justify charging much money for your app if you have blatant advertising in it but mobile apps (especially Android apps) are usually only a few bucks anyway, and you can make more than this and have a constant stream of revenue with in-app advertisements. 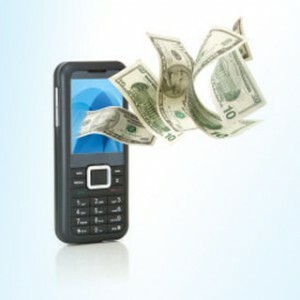 The main apps placing transactions within the app works for are shopping apps and apps with microtransactions. Shopping apps like iTunes are rather straightforward to monetize, but gaming apps with microtransactions aren’t as transparent. Prior to Microsoft introducing paid-for “downloadable content”, gamers expected additional maps to be free unless they came as part of a large expansion pack. An expansion pack for a multi-player first-person shooter would cost $15 or $20 and would be bought once, and might contain 8 or 12 new maps. There would also be new game modes, new weapons, and some new levels for the game’s single-player counterpart. When DLC was introduced, however, Microsoft started charging $5 per map, or $10 for a pack of 4 or so maps. By chopping up the content into little bits, Microsoft was able to charge gamers more money for less content. This same concept can be applied to mobile gaming apps, and other apps that are used a lot. By chopping new content up into smaller bits, you can both spend less resources developing less content and also get more money by selling the content for many times what you’d sell it for if you sold it all at once. About the author: Murray Newlands is the Founder & CEO of Influence People, a San Francisco-based online marketing consulting firm.